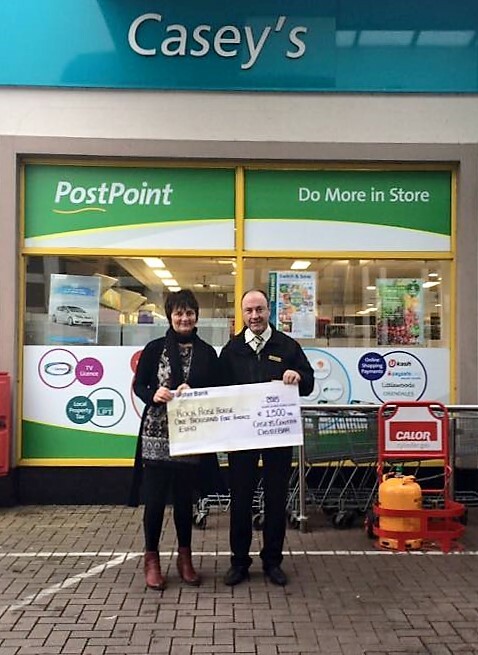 Casey’s Centra, Castlebar manager, Aiden Hennigan is pictured presenting a cheque for €1,500 to Jean Foy, Mayo Cancer Support Association, proceeds from the Mad Hatters Tea Party held recently at Casey’s Centra. Mayo Cancer Support greatly appreciates this donation and all the help and support received from the management and staff of Casey’s over the years. Thank you to all who contributed to this event and made it such a success.